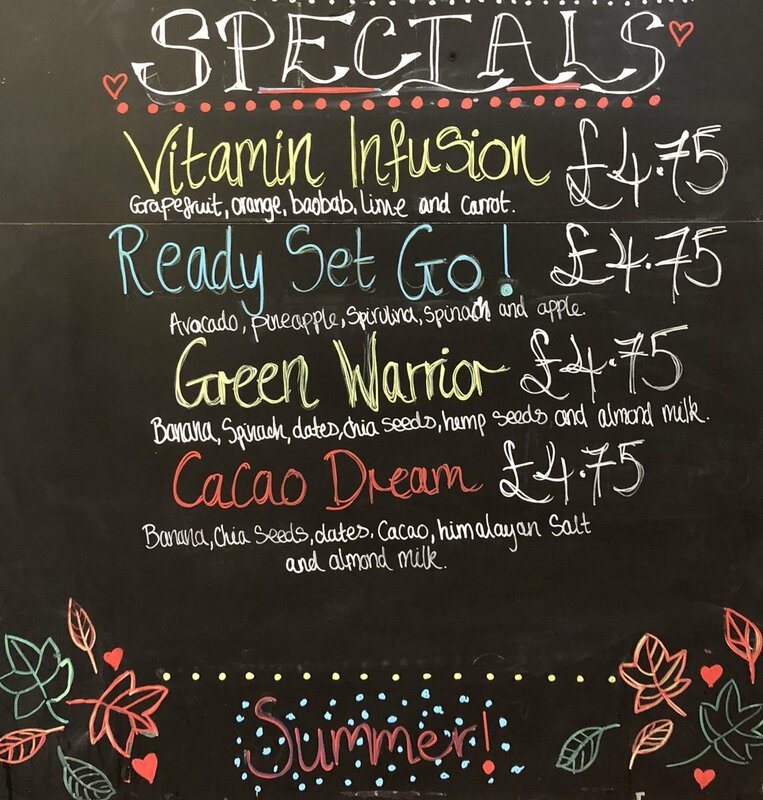 We’ve got some great specials on the boards this month, including Inga’s latest invention, Vitamin Infusion, made with Baobab Powder. At Colomberie we are introducing a new juice made with Baobab Powder (you can read more about Baobab in our blog post "Discovering Baobab - Africa's Tree of Life"). The Vitamin Infusion has been created by Inga, our 'chief juice inventor', who loves experimenting with our fresh ingredients and supplements. She has come up with this deliciously healthy and refreshing juice which is packed full of Vitamin C. In addition to the Baobab Powder, the juice contains Grapefruit, Orange Juice, Lime and Carrot. The Ready Set Go is made with Apple Juice, blended with Pineapple, Avocado and Spirulina. This is a really refreshing and filling smoothie. Perfect as a meal replacement at lunchtime. Spirulina is one of the world’s healthiest and oldest foods - the Aztecs used it as a food source in the 16th century. The Green Warrior is one of our creamiest smoothies, made with Banana, Chia Seeds, Hemp Seeds, Dates, Spinach, Almond Milk. It's slightly sweet and has a really nutty flavour, coming both from the milk and hemp seeds. The hemp and chia seeds are both great sources of protein. This is another great mid-morning or lunchtime filler. At Broad Street we have the Clean Green which is another of Inga's creations along with one of our all time favourite treats, the Blueberry Stressbuster. It's a perfect juice for coping with the difficult September days back at work after the summer holiday!